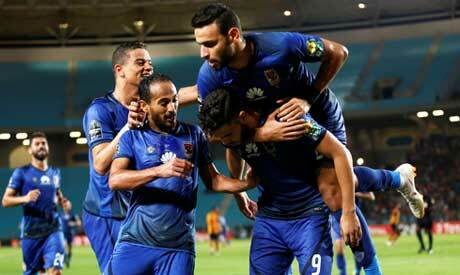 Egyptian giants Ahly was in luck Monday as they received an easy draw to face Horoya FC of Guinea in quarter finals of the African Champions League; while Masry will have a tougher test against Algeria's USM Alger in the Confederation Cup quarters. The Confederation of African Football (CAF) interclubs draw was held at the CAF headquarters in Cairo. Ahly, the record eight-time African Champions, had finished on top of Group A ahead of Tunisian giants Esperance of Tunisia. After losing last-year’s final, the Cairo giants are hoping to claim their ninth African title and first since 2013. The Red Devils will play the first leg in Guinea on 14-15 September while the return leg will be in Cairo on 21-22 September. If they manage to progress to the semis, they will face the winner between ES Setif of Algeria and defending champions Wydad Casablanca of Morocco. In the Confederation Cup, Port-Said based club Masry finished second of Group B behind leaders Renaissance Sportive de Berkane of Morocco. The Green Eagles will face the Algerian heavyweights USM Alger, who topped their group D.
Qualifying for their third Confederation Cup in a row, Masry has for the first time reached the quarter finals after exiting at earlier stages in the past two years. Masry will play the first leg at home on 16 September before traveling to Algiers to play the return Leg on 23 September. The winner of quarter-final I will play the semi-final against the winner of quarter-final II, and the winner of quarter-final III will play the semi-final against the winner of quarter-final IV. The first leg of the quarter-finals will be played on 14 or 15 September while the return legs will be played on 21 or 22 September. The first leg of the semi-finals will be played on 2 October, while the return leg will be played on 23 October. Both legs of the final will be played on 2 and 9 November. The first leg of the semi-final will be played on 3 October and the return leg on 24 October. Both legs of the final will be played on 25 November and 2 December.